Thank you for visiting China Town eBay Store. 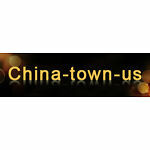 China Town is committed to offering high-quality and low-cost Computer & Electronics Equipments and Parts. Our primary mission is your satisfaction with our products and service. We try our best to ensure utmost customer satisfaction.